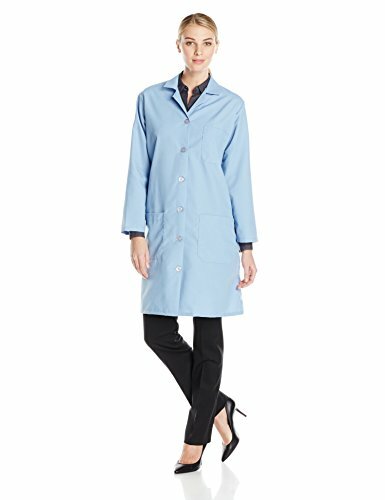 Stay organized with this lab coat, a must-have for anyone in healthcare or working in a laboratory. Its left chest pocket and two lower front pockets give you lots of storage and quick access to all of your things. With side vent openings, you can easily get to your garment pockets. That’s not all that’s easy-there's no ironing necessary to keep this healthcare lab coat looking fresh and professional.